OdeChan is creating artwork that will blow your mind! Hey! I'm Ode! Welcome to my Patreon page! I make digital paintings and graphic designs. I especially love painting portraits. Inspire and motivate people to create art. Teach what I can to others and be confident of my skills while doing so. Travel to artist alleys around the world. Making art is possible for me thanks to people like you and I'd love for you to join my Patreon family! 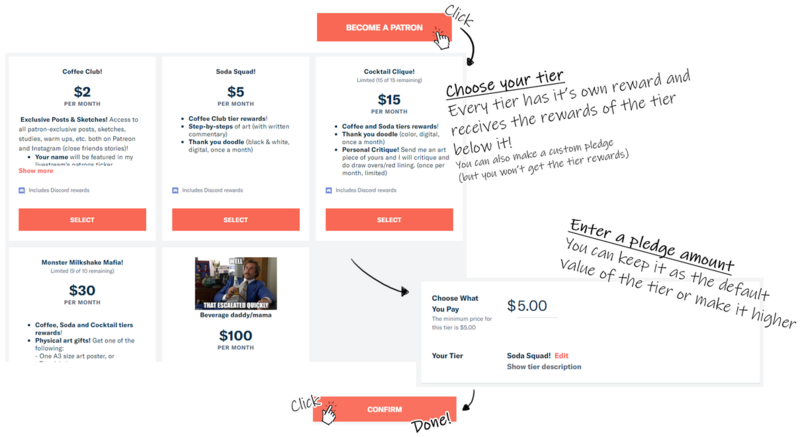 Patreon is a way to join your favorite creator's community and pay them for making the stuff you love. By being on Patreon, people like you can help fund my art creation, and I, in return, can work for you! Pledges get charged only on the first of the following month, so if you decide you want out - no worries! you can edit or cancel your pledge at any time! No hard feelings! What are the Rewards and how do I get them? Immediate access to all exclusive posts (inc. of previous months). Discord rewards are automatically given upon pledge. 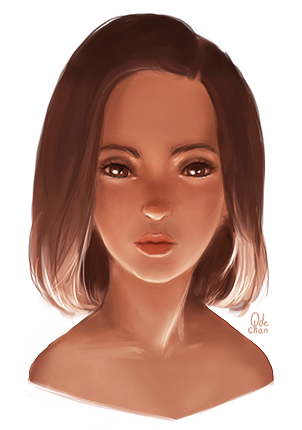 Painting process credits - your name will appear in the videos that were made after your pledge has been processed. Livestream rewards will be given from the first livestream of the next month. You'll receive an E-mail recap of the month, updates and your rewards (such as step-by-steps) by the 2nd weekend of the following month. As above but will also receive your personal thank you doodle (B&W). As above but will also have a request for your personal critique piece and colored doodle! As above but will also get an art catalog image which you can select you wanted poster(s) from! They will be sent, up to a week after getting your art choice, to the address you provided when pledging using registered mail. Check out my art: instagram, twitter, facebook, tumblr and youtube. Follow me for livestream notifications on twitch. FAQ || Have any questions/feedback? || Join our Discord community! Please note that all the content is copyrighted and are not for commercial use. You may not sell my art in any way! Access to all patron-exclusive posts, sketches, studies, warm ups, etc.! Step-by-steps of art (min. 2/month)! Your name in the credits of every painting process video! Your name will be featured in my livestream's patrons ticker! Patrons party chatroom on Discord! Early Access to video processes! Coffee and Soda tiers rewards! Coffee, Soda and Cocktail tiers rewards! As a thank you for funding a cup o' Joe for me for every day of the month, I will show you guys my work area! Get to know the behind-the-scenes!